Response teams made more than 900 water rescues. Downgraded to a tropical depression, Florence was about 100 miles west-southwest of Roanoke, Va., and 145 miles west-northwest of Greensboro, N.C., as of 5 a.m. (ET) Monday. It was moving north-northwest at 13 mph. NOAA’s Weather Prediction Center said the storm is still sprawling over six states, with North Carolina and South Carolina in the bullseye. The storm has dumped more than 30 inches of rain in Swansboro, N.C. Other areas have received more than 20 inches. Aerial images from the Associated Press showed boats stacked in a marina in New Bern, N.C., the town where Hatteras Yachts is located. Other images showed boats stranded in the downtown area, carried there by the storm surge. Trade Only Today does not yet have complete information regarding the area’s boatbuilders, but Grady-White and Regulator said they did not suffer damage from the hurricane. Grady-White is expected to reopen today. The National Hurricane Center reported flooding in a “significant portion” of North Carolina and South Carolina. Some sections of I-95 and I-40 in North Carolina were closed. Flooding in the coastal town of Wilmington has cut off the city from the rest of the state. The governor of North Carolina warned Sunday night that the “worst is yet to come,” as rain continues to swell overflowing rivers. On Monday morning, the National Hurricane Center reported major and moderate flooding along southwest areas of North Carolina. More than 900 water rescues have been reported since Friday in North Carolina, according to the governor’s office. CNN reported that people continue to request help. 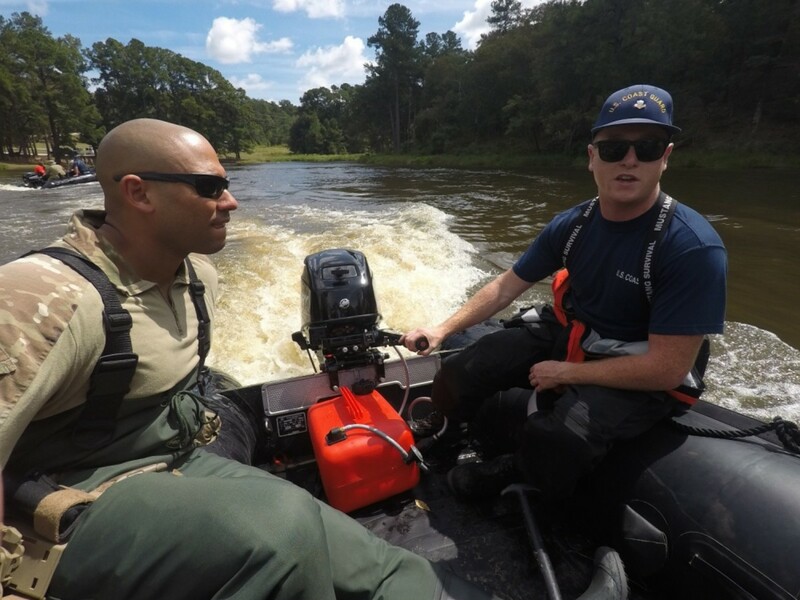 The United Cajun Navy made 167 water rescues in three parts of North Carolina over the weekend. The group of 350 mostly volunteers from 13 states hauled about 75 boats to help with the rescue efforts, according to nola.com. “Bateaus, flat-bottoms, air boats, party barges … pirogues, canoes,” said Todd Terrell, president of the group, listing the boat types that participated. The group reviewed local flood maps and brought the boats to areas that were most susceptible to flooding. They ended up in Wilmington, Jacksonville and Burgaw, N.C. The United Cajun Navy uses an app that “basically turns your cellphone into a walkie-talkie.” Terrell said the group plans to feed about 2,000 people affected by Florence with the help of two catering trucks brought from New Orleans. By Sunday, the Cajun Navy had moved from Wilmington to Leland, where about 200 people had called for help. Some weakening is expected today before Florence transitions to an extratropical cyclone tomorrow and Wednesday, according to the National Hurricane Center. The remnants are expected to reach the Northeast on Tuesday.